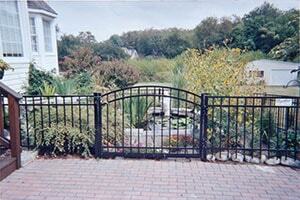 Rustic Fence, Inc. installs many types of gates for both residential and commercial applications. We can work with you to help identify the type of gate that will work best for your specific needs whether those are aesthetic, security or both. There are many varieties of gates, including driveway gates, estate gates, flat gates, garden gates, iron gates, slide gates, swing gates, chain link gates, vinyl gates and wood gates and walk-through gates. Rustic Fence, Inc. offers a wide variety of enclosure options to help you with your next project. With experience in the fencing field, no project is too large or complex. From rural enclosures to petting zoo animal fences, we have the knowledge to get the job done right. Some of our specialty solutions include sporting applications, netting, safety railings, gates and more. Please feel free to review our gate and specialty fence photo gallery and call us today for a complimentary estimate. 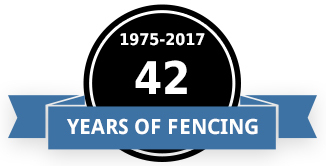 For over 40 years, Rustic Fence, Inc. has been serving the areas of Howard, Montgomery, Frederick, Carroll and Baltimore Counties. In addition to providing a complete range of gate and specialty fence installations, we also provide fencing of all types such as stockade, privacy, 5 and 6 board estate fencing, 2 and 3 split rail and much more. Be sure to call us today to speak with our owners directly. 301-854-6500.